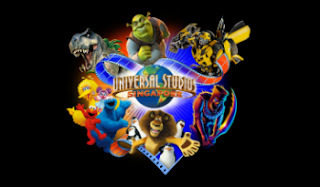 Singapore Freebies: Universal Studios Singapore: Buy 3 Free 1 Promotion!! Universal Studios Singapore: Buy 3 Free 1 Promotion!! This package includes Four Universal Studios Singapore 1-Day dated pass. Guests to present confirmation letter to guest services counter for ticket collection. PLEASE NOTE NO ETICKET WILL BE ISSUED FOR THIS PROMOTION. Payment must be made with MasterCard debit or credit cards only. This package is applicable for onsite/online purchase for park visits between 1 Jun – 31 Jul 2013. Valid for purchase of up to 6 (six) packages (maximum of 24 tickets) per cardholder. Promotion is applicable for Adult regular price 1-Day dated Pass only.